Bob's Service Center is your destination for all your Spokane Volkswagen repair and service needs. 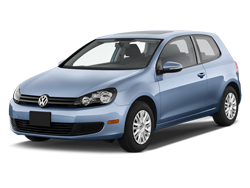 Our licensed, experienced and well trained Volkswagen repair technicians have the experience that is trusted by VW owners from all over the Spokane area. Their level of expertise is second to none, many of our customers even consider us an alternative to the VW dealership! Our goal at Bob's Service Center is to always give you the best information possible when it comes to your Volkswagen service and repair needs. We want all of our customers in Spokane to make informed, intelligent and correct decisions about the maintenance of their car. Our VW repair team does this by using their experience and the tools we have on hand to give you the appraisal that is the most accurate. Your VW is a highly tuned and well performing machine. You can’t trust it to just any repair shop in Spokane, you have to take it to a trusted team with experience and the right knowledge. We are just such a shop here at Bob's Service Center. Call up our customer service team to book your Volkswagen repair work in with us today, and we’ll give you the honest appraisal that you deserve.